There are processes that guides the information that is received from the environment around us, and the brain is continuously processing different information. These mental processes allow us to be responsive and flexible to demands. Different cognitive processes, like reasoning, decision making and previously mentioned ones can sometimes act together, as well as act separately, but what matters is that any information received can be transformed into knowledge through these processes. Cognitive perception allows us to sense, differentiate and organise different stimuli like taste, smell, touch sight, and hearing. These are the senses that are familiar to everyone, however, there are even more that are less familiar to us like the proprioception and interoception and perception helps us sort them all. It is a fundamental and day to day cognitive function, which enables us to concentrate on a stimuli. Before anyone can carry out or learn anything, they must pay attention to a particular stimuli. 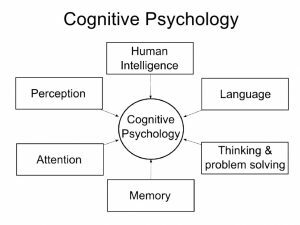 It is in the thoughts that the executive functions (problem-solving, reasoning and synthesis) participate, and they are in charge of coordinating all cognitive processes. By using the executive functions, all of the information that we’ve received is integrated and a relationship between objects and events in the mind is established before arriving at an opinion. Language is a communication tool, and it enables us to express what we are thinking and as well as what we are feeling through spoken words. It also enables us to relay information from within and outside us. It is through learning that cognition intervenes in educations. People are able to incorporate new information into existing ones when they learn something new.